The world-famous Concours of Elegance has won the prestigious ‘Concours of the Year’ category at The Historic Motoring Awards 2018. Now in its seventh year, the Concours of Elegance has quickly become one of the most esteemed and acclaimed concours events in the world, welcoming some of the biggest names in the classic car industry and the most eminent collectors from around the world. Regarded as one of the most distinguished motoring award ceremonies, The Historic Motoring Awards was hosted by Formula 1 pundit Steve Rider, with winners chosen by experts at Octane Magazine and an international panel of revered judges. The Concours of Elegance has now been nominated seven times for ‘Motoring Event of the Year’ and took home the ‘Concours of the Year’ award this week, with sister event London Concours a finalist in the ‘Breakthrough Event of the Year’ category. From 31st August to 2nd September, Hampton Court Palace hosted a selection of vehicles the likes of which has never been seen in the UK. 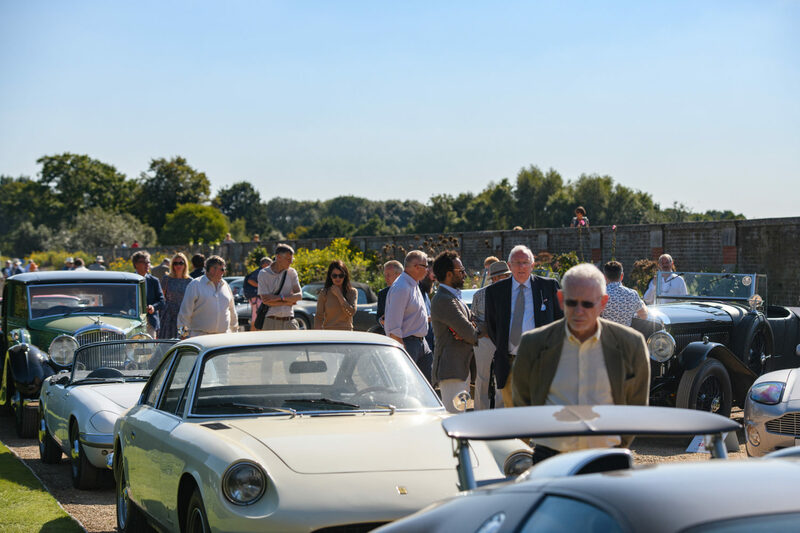 Over a century of the best automotive history graced the royal gardens in South-West London, from the 1903 Panhard et Lavassor O4R up to the latest 2018 Ferrari GTC4 Lusso ‘Tailor Made’. Star guests included a recently-restored 1997 McLaren F1 GTR Long-tail, as well as an incredible 1957 Ferrari 500 Testa Rossa ‘C’. The 1929 Mercedes-Benz S-Type Barker ‘Boat Tail’ took home the ‘Best in Show’ award with its period accuracy and attention to detail loved by all. The 2018 Concours of Elegance was supported by a fantastic selection of automotive manufacturers, including Ferrari, McLaren, Aston Martin and Geely, as well as its presenting partner A. Lange & Söhne. Guests were able to enjoy a great selection of food and drink from luxury picnic company Tom’s Kitchen and Champagne Taittinger bar, alongside a tantalising array of lavish products from Augustine Jewels, art from Collier Dobson and fine scotch whisky from John Dewar & Sons.